Vosene is one of our favourite haircare ranges for the children with Pink Pomelo 2 in 1 being a top choice, although now we are back to school I have to think about the dreaded head lice. Although my boy with short hair has never suffered, unfortunately my daughter has been caught a number of times, most recently just before they broke up for the Summer holidays. Vosene kids offer a 3 in 1 Shampoo with natural lice repellents containing tea tree oil and lemon eucalyptus oils. It has a really fresh lemon scent and easily lathers up to leave hair fresh and clean. Having an added lice repellent is a bonus and you know your child will be less likely to catch head lice having used this shampoo as opposed to a normal shampoo. One less product always helps as children really don’t like using multiple products on their hair. Additionally the Conditioning Defence Spray is great to use and keeps hair soft and tangle free. Being just a leave in spray this can be used at any time of the day and I found it good to use in the mornings when getting hair ready for school. You then know that hair is boosted with lice repellents before the day ahead so I give the hair a good spray particularly around the ears and neckline as this is where we tend to find lice congregate! Overall Vosene is a trusted brand that kids are happy to use and the feeling I have as a parent that hopefully my child’s hair will repel any lice that come it’s way helps me be more relaxed and in hope that we don’t have another dreaded head lice infestation any time soon! Lee Stafford Chopstick Styler QuickDry Gloves are a innovative but simple idea that making towel drying your hair a dream, getting rid of all the moisture but without the effects of rubbing a towel on it, hence leaving it frizz free. The gloves are a large in size but fit over your fingers easily, in fact they do look like big pink monster hands which my children thought was hilarious but if they do a good job then they would be worth looking like a monster for a few minutes after the shower. To use I simply gave my hair a quick squeeze when I’d finished washing it and then put the gloves on to remove more moisture from my hair. I just squeezed through the lengths and pressed over the scalp and the gloves soon absorbed the majority of the moisture. This allowed me to go and get dressed without wet hair dripping all over me or a towel wrapped around my head. Personally I’m really pleased with these and prefer them to my regular microfibre hair wrap which although keeps the wet hair out of the way, doesn’t absorb much of the water. My 9yr old daughter has even taken a liking to these, with her very thick, wavy hair, the gloves are a simple way for her to get the wetness out of her hair before I plait it for her. They are easy to use and really soak up moisture so a great tool for her to use to dry her hair as being so thick she doesn’t use a hairdryer and leaves it to finish dry naturally. Lee Stafford No Strings Attached Cordless Straightener has revolutioned my hair routine in the mornings. I love being cord free and moving around the room, looking in whatever mirror I please to do my hair. The other big bonus is the stand to put these in, no more worrying about leaving hot irons on the floor or side where someone might knock them when they are hot or trip over the cord. Well I was very impressed with the contents. Along with the straighteners was a heat mat and zip up bag for storage. The cordless straighteners themselves are just lovely, a bold bright pink and easy to hold. They have a stand which allows them to sit upright in and a cord which can either go directly into the straighteners as per normal ones, or into the base resulting in the straighteners being cordless when you use them. So what are they like to use? I love them! They are now my go to straightener every morning that I wish to straighten my hair. I love the way they stand upright in the holder. They reach a good heat which should last up to 15 mins before needing to put them back in the holder to heat up again. I find that plenty of time although sometimes I just pop them back in for a few minutes while I comb my hair and then just go over a few bits that need it. The Lee Stafford No Strings Attached Cordless Straightener to use, I’d recommend them to anyone. There’s no chance of them rolling about on the floor, you can walk around as you are using them rather than being tied to the corner of the bedroom and they give me the results that I want with my hair. Plus the fact that they look good standing in the corner of my dressing table. An all round winner for me! So what did it taste like? It’s flavoured of peach and lychee, but has a very rich taste although is only 2-3 mouthfuls so is easy to take each morning with breakfast. Did I notice any difference? Well I have been trying hard with diet, exercise, less wine, more water on the run up to my 40th but I can honestly say my face does feel softer and more plumped. My nails are definitely less brittle, more flexible which means less breakages (especially with two young children around). My hair does feel shiny and bouncy at the moment. 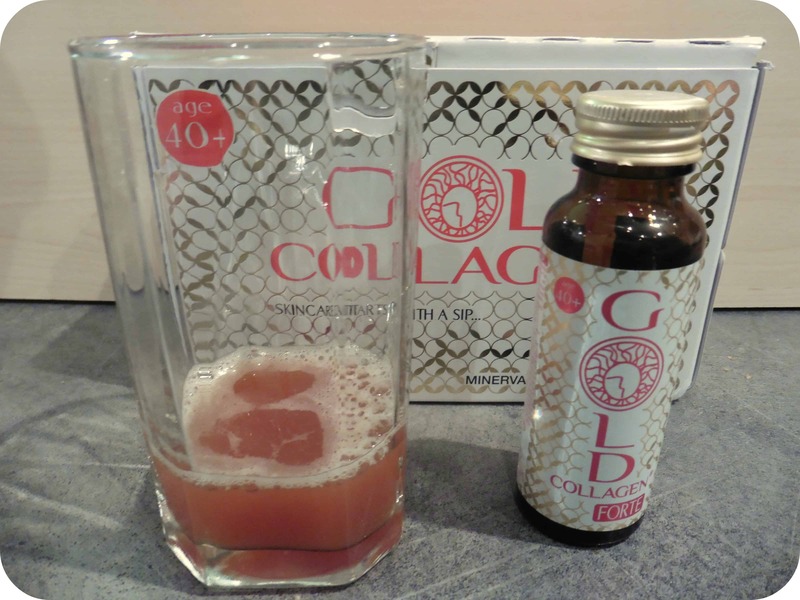 Obviously it’s hard to tell after just a month’s use but I do feel that Gold Collagen Forte® has made some difference which is great news. Anything to feel more fabulous at 40 is more than welcome! Well it isn’t cheap. A box of 10 bottles which is a 10 day supply is £40.00, but this is a high quality supplement and if you want the results then I believe this will work. I do think it’s hard to quote how much a supplement has worked over a month but I can honestly say that everything feels softer, hair, nails and skin. A more supple feeling and if that would improve with further use of the supplement then I can genuinely say that this works and is definitely something to give you both a more youthful look and feeling. Certainly the best product I’ve tried but then I guess you get what you pay for and if this product is in your budget then I would try it as I believe in it and think that it gives results. 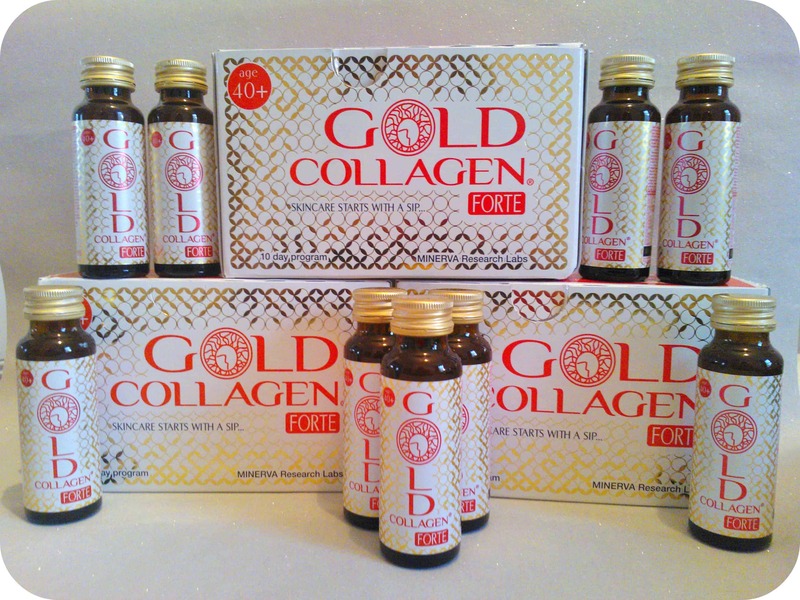 All reviews are my own opinions and I received 30 days supply of Gold Collagen in order to write the review.